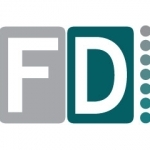 Established in 1994, Formations Direct Ltd offers professional support for accountants and SMEs in the field of company formation and administration. Providing excellent service at a reasonable price, Formations Direct are the UKs leading company registration and restoration agency, business and accountancy practice broker and advisor. Formations Direct can help you check your desired limited company name, or alternatively, provide you with an off the shelf limited companies... Read more which are named and pre-registered at Companies House. These off the shelf companies are ready to be used immediately and have never traded.